Showing results by author "Sister Jina van Hengel"
Join in meditations developed at one of the world's great meditation centers and gain ideal support for a daily mindfulness practice. 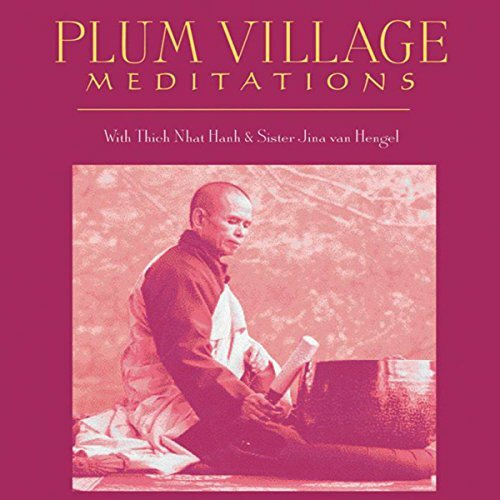 Here are 4 authentic meditations from Plum Village, the celebrated Zen sanctuary and peace center founded by Thich Nhat Hanh in southern France. Hanh is a meditation master who Thomas Merton has described as "the Zen monk who sees beyond life and death." These inspiring guided meditations teach conscious breathing for calming the mind and cultivating joy, body appreciation and attunement practice, and how to transform your anger into seeds of kindness.